Ontario’s government today tabled its budget for the 2019/2020 fiscal year, which includes a plan to gradually eliminate the province’s budget deficit that’s forecasted at $10.3 billion this year. Strikingly, despite Ford government rhetoric, the deficit-reduction plan closely resembles plans employed by the McGuinty and Wynne governments in the years following the 2008/09 recession. 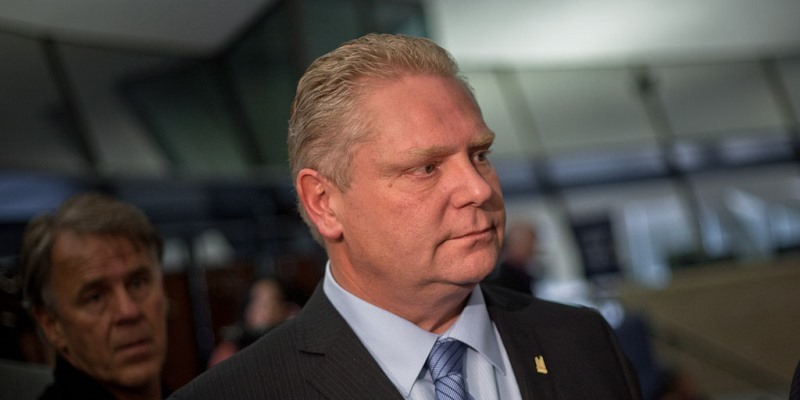 Specifically, instead of a nominal spending freeze or spending reductions to return to a balanced budget quickly, the Ford government has chosen—like its predecessors—a slow return to balance based on restraining the nominal spending growth rate while waiting for revenues to catch up and eliminate the deficit over time. Consequently, the Ford government does not project a balanced budget at any point in its first mandate, targeting a return to balance in 2023/24. This is hardly the aggressive approach to deficit-reduction we heard on the campaign trail. Let’s look at some recent history. Prior to a pre-election spending binge in fiscal year 2017/18, the Wynne government reduced the deficit slowly by holding nominal spending growth much lower than in previous years. From 2011/12 to 2016/17, for instance, program spending in Ontario grew at an average annual rate of 1.4 per cent—less than what would have offset cost pressures from inflation and population growth combined, meaning that inflation adjusted per-capita spending generally fell from year to year. Fast-forward to today, with the Ford government embracing a similar strategy. Instead of rolling back the substantial nominal spending hikes of the past two years (14 per cent combined), it will accept this elevated spending level as its baseline, only restraining further program spending growth to a forecasted one per cent increase annually over the next five years. Of course—again, like under Premier Wynne—this strategy means an extended period of large deficits in Ontario and continued debt accumulation, to a whopping $391.6 billion by 2023/24. Meanwhile, the province’s debt-to-GDP ratio is forecasted to hover near its current level of more than 40 per cent for the next several years, before inching down to 38.6 per cent in 2023/24. Of course, if a recession hits at any point over the next half-decade, Ontario will enter it with a substantially higher debt burden than before the 2008/09 recession. And the province’s debt-to-GDP ratio could therefore easily climb further to reach record highs. If there’s a silver lining to this budget, it’s the return to modest spending restraint after two years of unsustainable growth. However, a five-year timeline for a return to budget balance is risky and will mean the province will continue to pile up substantial new debt. Finally, the government’s plan fails to create additional fiscal room to address the province’s tax competitiveness challenges, particularly it’s second-highest-in-North America combined top marginal personal income tax rate, which hurts the province’s ability to attract and retain skilled workers. In short, while there’s some mildly good news in the first Ford budget, those hoping for a transformational approach to public finances will be disappointed.